After a much enjoyed manga and video game divergence, I am back on the reading path. Every now and again, you get an author like J.R.R. Tolkien who comes along and creates an entire authorverse where characters, creatures, lands, and languages are created in depth with logic and supporting history. Brandon Sanderson is one of those authors. If you have yet to read his works, please go do so now. Start with the Mistborn Triology. He is a favorite author of mine so it only seemed natural to pick up his new series when TOR put the first book on sale for $2.99. My first impressions were a little stumbling. It seemed difficult to get into the story initially. I do acknowledge that I was working on some home improvement projects during the first chapters. With such divided attention, I may have missed some of the flow to the book. Or, my favorite author fumbled as humans do. He picked up writing the Wheel of Time series finale, a YA novel, and another Mistborn installment while having this story floating around in his head. Maybe we were both a little to distracted to stay on the same page. The ending of the book was enough to draw me back into the depth of world that only the truly imaginative can create as the various strings started to make a tapestry. As I write this and reflect back on the book, I realize that I really should have paid more attention right out of the gate. Initially, I was confused by the placement of the opening prelude and prologue. I had a hard time following where all the characters were tying in with one another. The fantasy genre is filled with authors who use the multiple characters for every chapter format. They usually don't string together until the very end as their spheres of influence draw ever closer to each other. This time around I felt that I was supposed to be seeing a connection from the start. We were jumping timelines as well as lead point of view. The flow just didn't seem smooth to me, but I shall repeat I was slightly distracted as I was reading. The interrupted breaks in picking up the book my have widened the cracks in my understanding. Another concept I just couldn't fall in line with were the interludes. They seemed to have little impact on the story line but I'm crossing my fingers they will indeed be relevant in upcoming books. I tried to retain the information from them but glossed over the depth as I got further into the following chapters without any connections. 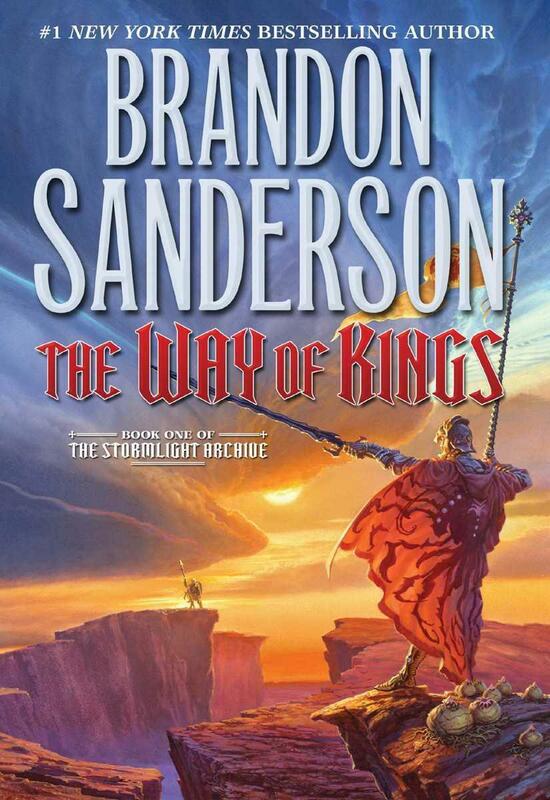 So far, this is not the best creation from Brandon Sanderson. The foreshadowing seemed clunky and the timeline flow was more of a whirlpool. When the second novel is published, I might give this a reread to make sure I am up-to-date with the story. Perhaps it will make sense the second go around without distraction. Here is to the Lady of Devices (Another kindle sale that brings me great joy)!